Home » Blog » Body Beast » The Body Beast Review: What Is It And Does It Work? 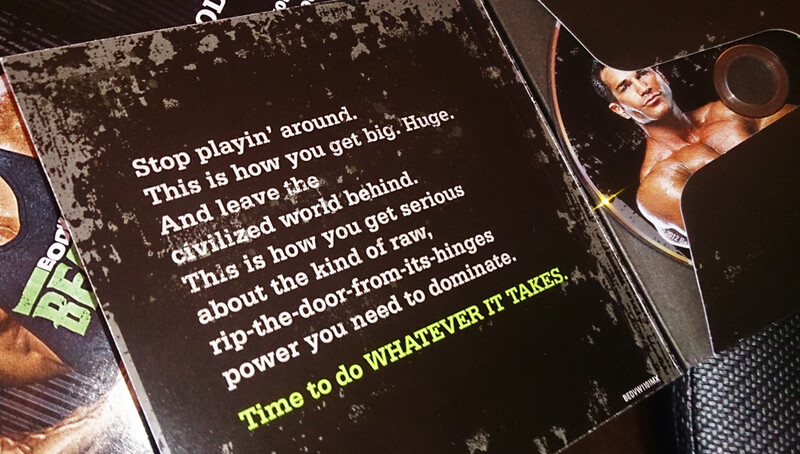 The Body Beast Review: What Is It And Does It Work? Body Beast is the at-home DVD workout from Beachbody that promises to slap some serious lean muscle and size onto your body. Unlike so many of the DVD home workouts from Beachbody and others, this workout series involves lifting weights. A lot. Sagi Kalev is the guy who heads up this DVD. A former two-time Mr Israel who has been on the bodybuilding circuit for many years, appearing in magazines like Muscle & Fitness, Iron Man, Reps and Men’s Workout. You’ll get to experience his combination of sage advice and wisecracks as you progress through the programme. Looking at some of the DVD fitness competition out there, Insanity training has no weights, whereas P90X does include some weights work, but Body Beast definitely takes it all to a whole different level. Depending on which of the two different Body Beast programme routes that you choose, there is either very little cardio involved – or none at all. 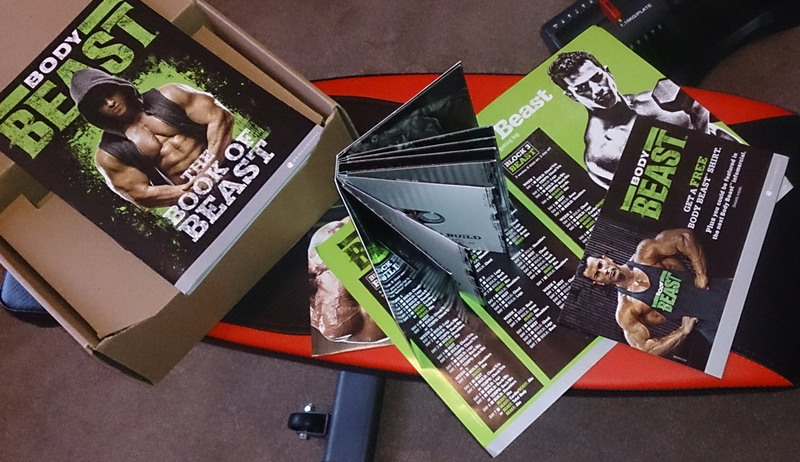 There is the Huge Beast programme and the Lean Beast programme. Huge Beast has been designed for people who are primarily interested in adding mass, whereas Lean Beast helps keep the fat gain to a minimum as you start to slap on the bulk, by incorporating cardio. Both programmes are included in the DVD pack, so it’s up to you which version you follow. As I’ve just come out of 9 weeks of Shaun T’s Insanity Training workout, I don’t need to get any leaner, so I’m powering my way through the Huge Beast programme. What Do You Get With Body Beast? And What Equipment Do You Need To Buy? You’re going to need some decent weight variations and you’re going to need to be able to switch the weights very quickly if you want to keep up with the DVD. I decided to buy myself a set of Orbus adjustable dumbbells, which were one of the best purchases that I’ve ever made on fitness equipment. Check out my review of the Orbus adjustable dumbbell set here. You can actually use a burst-proof blow up exercise ball if you don’t have a bench. You do get a guy on the DVD doing modified moves. I got myself a bench, it’s a fairly fundamental piece of kit, so definitely worth the investment. I got myself a great bench for under £30 and I’d definitely recommend it to you. It’s from a company called We R Sports and it cost me just under £30. I’ll run a review when I get time. Again, you can buy bands instead, but as a pull up bar is fairly cheap it’s worth buying. I’m living in a very old cottage at the moment and the doors are all weird sizes, so there’s only one door that I can hook the bar onto, but that’s all I need. There are essentially three different types of pull up bar: doorway friction bars, hook over basic bars and hook over deluxe bars. The friction bars wedge into the doorframe and are held by friction. They are a bit dodgy and can fail. The hook over type locks in over the doorframe and then the other side pushes into the doorframe. The weight of your body holds it in place and it won’t move anywhere. The hook over deluxe is the same principle, but allows you different hand grip positions and wide or narrow grip. I went for a bar that has wide and narrow grip options, it’s definitely worth you buying one like this as you need to do to different pull up variants. And that’s pretty much it. You could buy an EZ bar as well – a barbell that has bends in it to allow different grip varieties – but you don’t really need it. The dumbbells, the bench and the chin up bar are all you really need. What’s The Verdict On The Training Sessions? Although I’ve been to the gym on and off (mostly off) a little bit over the last ten years, it’s been nearly 20 years since I’ve worked out seriously with weights, and Body Beast got me feeling the old school lifting bug again. I’m rediscovering all my old favourites in this programme: drop sets, super sets and giant sets. Nice! I’m still just a few weeks into my Body Beast journey and I’ll let you know how I get on in future posts, but so far everything is looking pretty good. I’m definitely working my body and I am feeling sore! As I mentioned, I haven’t done any old school lifting in a long time. Old school was actually new school when I was doing it! The first time I did Build-chest/tris it wiped out my muscles for days. Legs too. One thing I found with Insanity training is that I didn’t get any deep tissue Delayed Onset Muscle Soreness (DOMS), but with Body Beast and Sagi, damn, I’m getting hit with the sore stick on a regular basis. One other reason for this could be Sagi’s very brief warm up and his after-training short stretch session. I’ve found that the more I stretch after a training session, the less DOMS I get hit with. Also, cold showers can go some way to minimising DOMS. Another thing to watch for is Sagi’s jokes and jabs at the guys for being girly men. His sarcastic wit definitely keeps me grinding out the reps.
My advice is: if you want to pack on some muscle and get big in your home gym, then Body Beast is definitely for you. You’re not going to get as big as The Rock, but that’s another story. 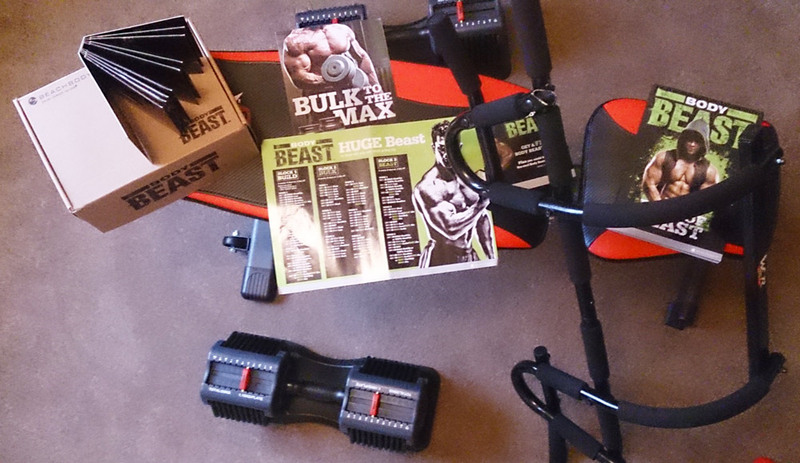 I’ll be reviewing my progress in the following weeks, so please come back and take a look at how I’m getting on with the Beast workout.